The JFBC sports mission trip to Nairobi landed safely on Sunday morning, 6:20 am Nairobi time. Though tired from the 24 hours of travel, team trip leader Chris said they were welcomed by Solomon and excited to be back in Kenya and were heading to church just a couple hours after leaving the airport. The team, comprised of Chris plus soccer coaches Chad, Mark and Nick headed out to Parklands Baptist church, joined by their on the ground team leader Godfrey. The team was welcomed by the Pastor of Parklands Baptist and enjoyed the service immensely. Team members then made their way to the western outskirts of Nairobi to the Word of Life conference center. A center used by church's for youth camps and retreats. "It is just perfect for what we need" according to Chris. Last year, we had around 8 hours a day with 40 coaches to train them in high level soccer coaching and how to use this in Sports Ministry. This year, we will have the coaches staying at the retreat with us and we will have a 24/7 immersion with them." The coaches arrived Monday morning and the team is well underway with their mission. The daily schedule is rigorous. On the field at 6:45 am for a short morning devotional and physical warm ups. Breakfast is followed by class room instruction, then on the field training up to lunch, followed by more on the field training. There is a two hour 'free time' for fellowshp at 5pm, followed by dinner and then two hours of Bible study and small group meetings. "The Kenyans are full of joy and love for the Lord. They have an insatiable appetite for knowledge in the word of God and how to use Soccer in a sports ministry environment." according to trip leader Milhous. "it is such a joy to be able to speak freely about Jesus in a sports environment added Liddle. We have been taught to be so cautious in invoking the name of the Lord back home, it is refreshing to be in a place where God is so welcome. It makes you think twice about the lack of freedom in our own faith back home." added Coach Chad Liddle. It is winter in Nairobi and the team is surprised by how chilly it is. It is in the high 50s and 60s and the nights are cold and damp. No heat. Spartan camp conditions. Long days from 6:30 am till close to midnight. And the team couldn't be happier. 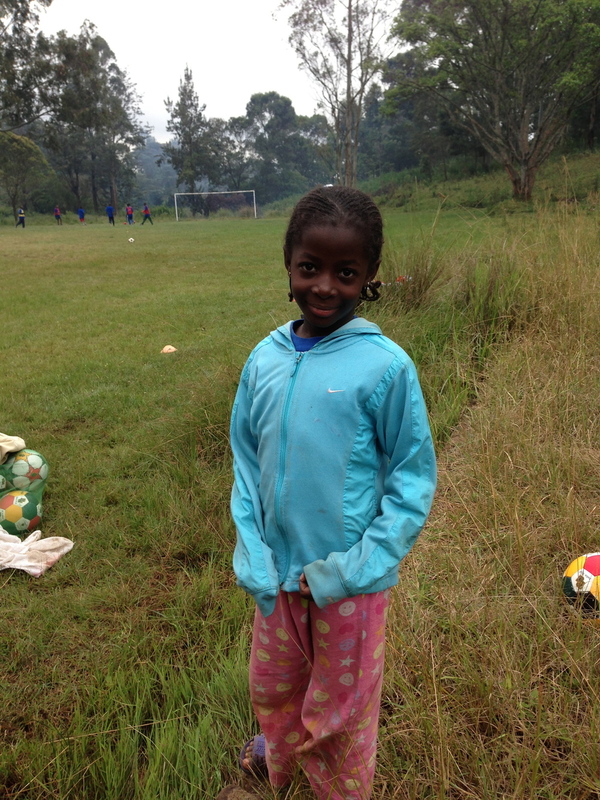 Jambo from Kenya and Assante sana (thank you) for the support from JFBC!